Dolcevita is a Luxury, 6-Story Boutique style Condo with a total of 34 Units, located directly on the Beach. 3 Floor Plans are offered (2 of which have 3 Bedrooms and 1 of which has 2 Bedrooms). Beautiful direct Oceanfront views from Residence C, which directly faces the Ocean and is the largest Floor Plan in the Building. Amenities include a heated Oceanfront Pool, Cabanas, Hammocks, Summer Kitchen, outdoor Fireplace, Fitness Center, 24-hour Concierge, Social Room, Conference Room, on-site Staff, and secure Garage Parking. Dolcevita Condo is located at 155 S. Ocean Avenue in Singer Island/Palm Beach Shores. Dolcevita’s location is conveniently close to Shops, Restaurants, Cultural activities, Entertainment, Marinas, Sports Venues, Nightlife (CityPlace in West Palm Beach, The Gardens Mall, Palm Beach’s famed Worth Avenue Shops, etc. ), Palm Beach International Airport, Ft. Lauderdale, Miami, and more. 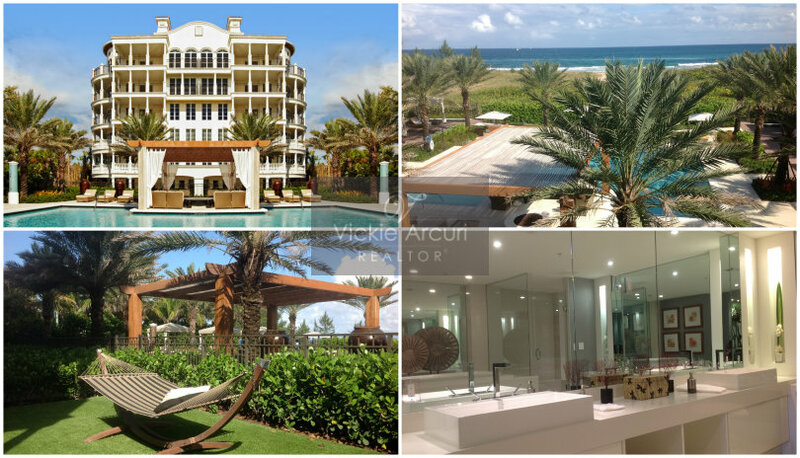 Interested in Palm Beach Oceanfront Condos, recently constructed Oceanfront Condos in Palm Beach, Singer Island Oceanfront Condos, or Palm Beach Luxury Condos? Dolce Vita is a great choice to consider!